lifetime of pages: Vivien needs your help!! I need to share something important. Many of you know my niece, Vivien, the subject of many of my layouts, has Cystic Fibrosis. 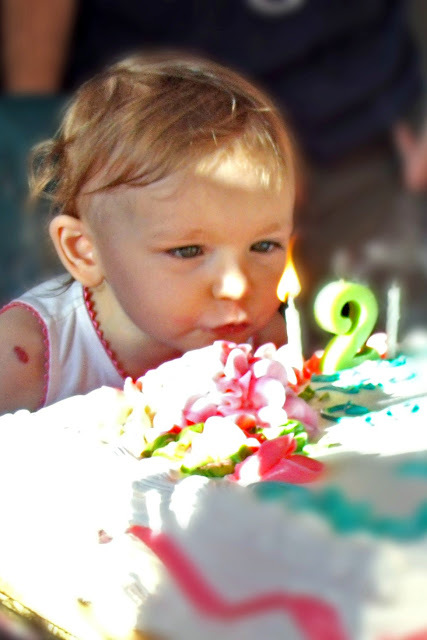 even blow out her birthday candle on her own. A life expectancy of 30-40 years is not good enough. At, 2 years old, Vivien loves the movie,"The Sound of Music". She can sing "Do Re Mi" with the best of them. As she drapes a blanket around her and pretends she is a bride marching down the aisle, I wonder if that is something she will live to experience. Will she get to graduate? Be a bride? Have children of her own? If you can spare a dollar or two to help Vivien and children like her have more time, more chances at their dreams and more tomorrows, please click here to learn a little about Vivi's story and how you can help. Keeping her .. and others in my prayers! Ah! I hear your heart! My g-niece Cassidy, whom is a frequent subject on my layouts has CF as well! She was diagnosed this past October I think. Poor girls! They are in the middle of raising funds for a CF walk coming up. Having gone thru this with my niece... My heart goes out to her and her family!! Will continue to help in trying to find a cure for this awful disease!!! Hugs! !